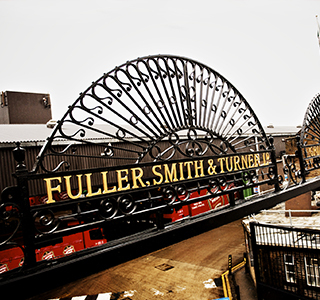 At Fuller’s, we are committed to the highest standards of corporate governance - and believe that such standards are critical to our overall business integrity and performance. We comply fully with the UK Corporate Governance Code, which outlines standards of good practice in relation to board leadership, remuneration, accountability and relations with shareholders. Read pen portraits of the eleven individuals that make up the Fuller’s Board. Discover the Terms of Reference for our Audit, Nominations and Remuneration committees. Aged 66. Joined in 1978. A Chartered Accountant with international experience. Initially ran the Wine Division as Wine Director. Appointed Marketing Director in 1988, Managing Director in 1992, Chief Executive in 2002 and Chairman in 2007. Chairman of the British Beer and Pub Association 2008-2010. Master of the Worshipful Company of Vintners 2011-2012. Aged 52. Joined in 1996 from Bass plc where he held a variety of senior operational and strategic planning roles. Appointed to the Board as Retail Director in May 1998, Managing Director, Fuller’s Inns in July 2006, Group Managing Director in November 2010 and Chief Executive in July 2013. Non-Executive Director of The National Gallery Company Limited and WH Smith PLC . Previously Senior Independent Director and chair of the Remuneration Committee of Dunelm Group plc. An economics graduate and alumnus of Harvard Business School.